This is a steam punk novel that I’m currently reading on my Kindle3, and I have to admit that so far… I’m really impressed. The characters are very emotionally driven, and have a past that’s not only haunting but riveting. It has a sequel, and as long as the original doesn’t fall apart for me by the end, it’ll definitely be worth checking out. Otherwise, it’s been recommended that I read Never Let Me Go. I loved this book when I read it. 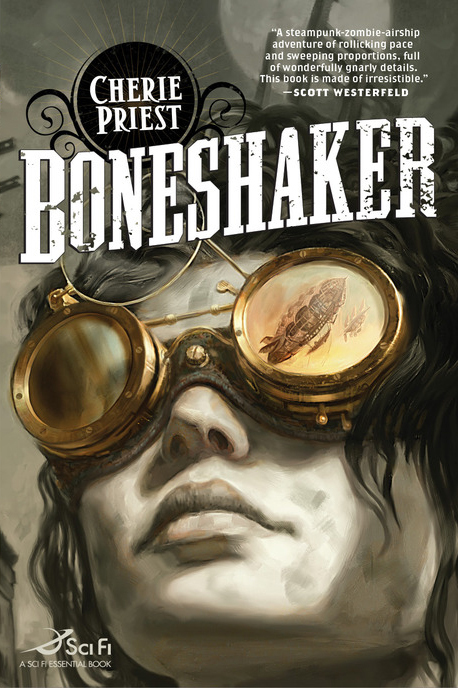 I just recently found out about the sequel, and I also saw that it is a self-contained sequel, so I’m not sure it even has any of the same characters as Boneshaker. That’s cool that you like it! Yeah, I’m interested in the sequel, but I was unaware that it was a stand alone book.